Nadya Kwandibens is Anishinaabe (Ojibwe) from the Animakee Wa Zhing #37 First Nation in northwestern Ontario. She is a self-taught portrait and events photographer and has travelled extensively across Canada for over 10 years. In 2008 she founded Red Works Photography. 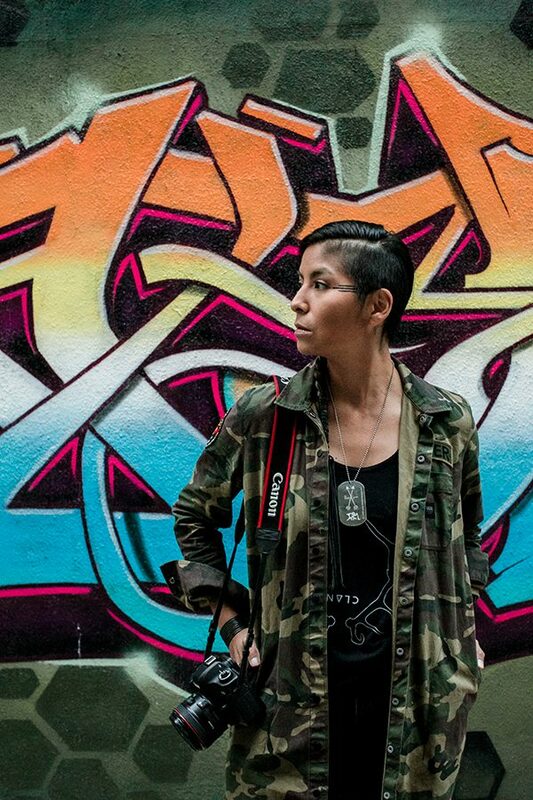 Red Works is a dynamic photography company empowering contemporary Indigenous lifestyles and cultures through photographic essays, features, and portraits. Red Works specializes in natural light portraiture and headshots sessions plus event and concert photography. Red Works also provides image licensing, workshops, presentations and print products. Nadya’s photography has been exhibited in group and solo shows across Canada and the United States. Nadya’s artistic practice builds upon three ongoing bodies of work: Concrete Indians is an open-call series of contemporary urban Indigenous identity and a collective representation of decolonial assertions of resistance and resurgence; Red Works Outtakes is an uplifting portraiture series created to combat the “stoic indian” stereotype; and emergence, another open-call series, focuses on resurgent acts of decolonization by means of transmission and the conveyance of Indigenous intelligence. Her most recent project is titled The Red Chair Sessions, and is an open-call series that places importance on reclamation of Indigenous spaces / places and languages. 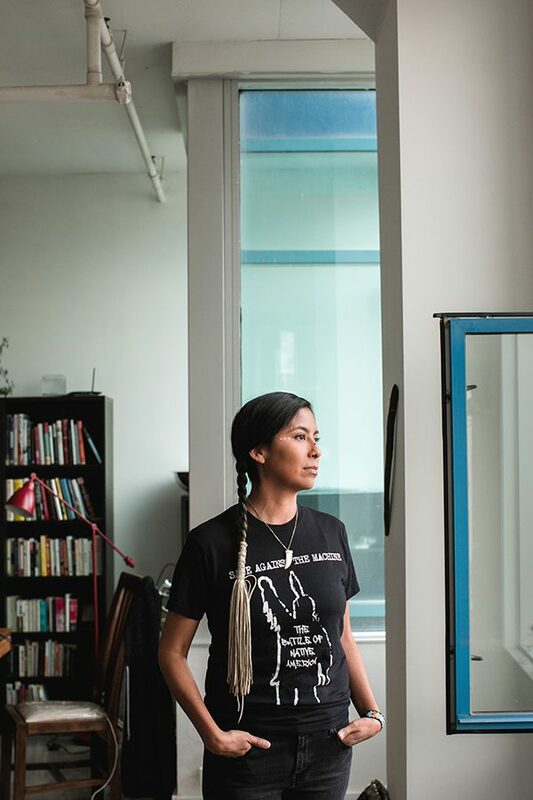 She is also currently in the research and development phase for a new multimedia series titled The Kitchen Table Talks that will bring together Indigenous wombyn, LGBTQ2S, and invited settler-allies to round-table perspectives on matrilineal leadership and nationhood with a focus on addressing urgent local and regional Indigenous matters. 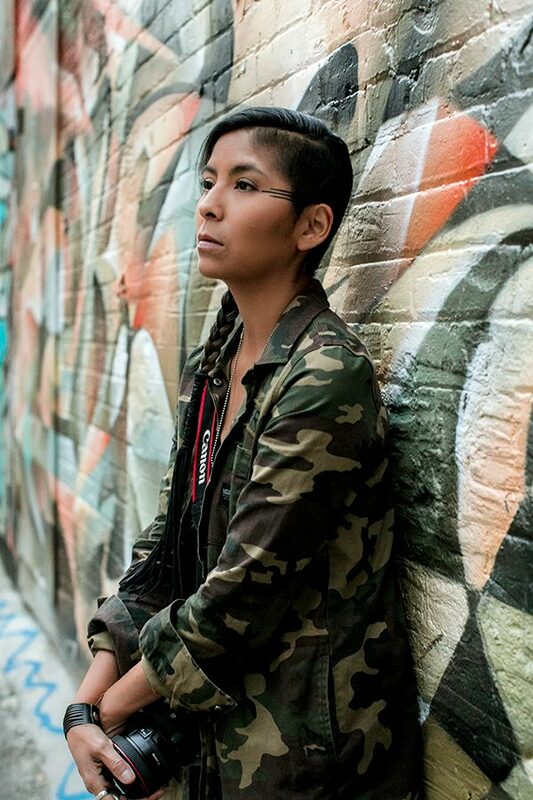 Nadya is also a member of the Indigenous Laws + The Arts Collective, the founding body of Testify, a travelling multimedia group exhibition. Testify pairs artists and legal thinkers to work in conversation with each other to create art pieces that explore facets of Indigenous law. Her work in this dynamic exhibition is titled RE:Turning Home and focuses on child-welfare law and the foster care system. In addition to commissioned works, Nadya delivers empowering photography workshops and presentations for youth, universities, and community groups. She resides in the traditional territory of the Anishinaabe in northwestern Ontario. We, as Indigenous people, are often portrayed in history books as Nations once great; in museums as Nations frozen stoic; in the media as Nations forever troubled. These images can be despairing; however, my goal seeks to steer the positive course. If our history is a shadow, let this moment serve as light. We are musicians, lawyers, doctors, mothers and sons. We are activists, scholars, dreamers, fathers and daughters. Let us claim ourselves now and see that we are, and will always be great, thriving, balanced civilizations capable of carrying ourselves into that bright new day.